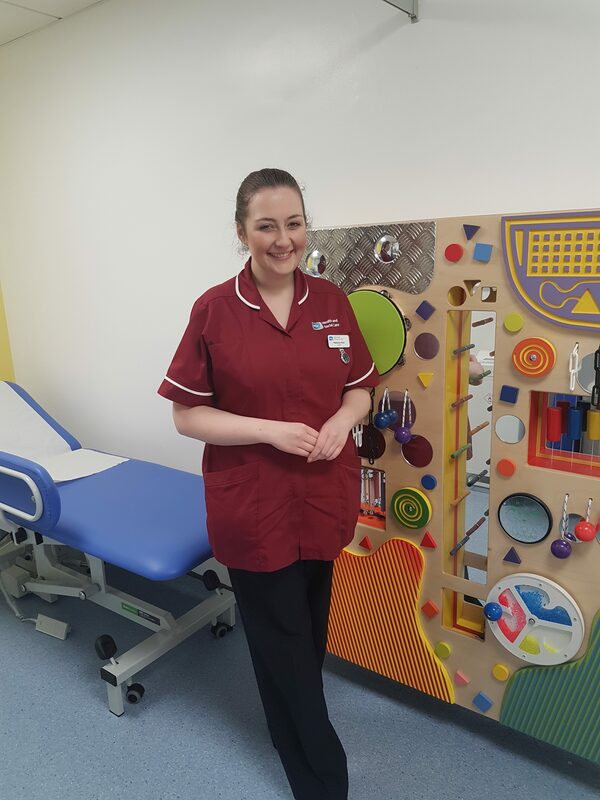 Our families may know Rebecca from her time as a Staff Nurse on Clark Clinic ward, but six months ago she started a new role as Clinical Nurse Specialist working alongside Catherine Faulkner. Congratulations on your new role as Clinical Nurse Specialist! Can you tell us what your new post involves? Being fairly new to the post I have found that my job is fairly unpredictable. There really are no two days the same. Catherine and I deal with a wide range of areas, from telephone queries to ward review clinics. I think the most important part of my job is being a point of contact for parents who are living at home with a child who has a congenital heart condition. We also provide support, whether that is at the point of diagnosis or further down their journey. Given that you’ve chosen to stay in the area of paediatric cardiology, what makes working with heart children in particular so important to you? There are so many things I love about working in Paediatric Cardiology. From my time as a staff nurse in Clark Clinic I really enjoyed caring for the patients at their sickest and seeing them gradually progress until they were well enough to go home. In my current post it is so rewarding to see these patients coming up to clinic appointments and also coming to transition appointments. I think especially in the area of paediatric cardiology there is such a sense of being part of a community with our heart families and over the last 8 years I have been privileged to walk with them on their journey. I wouldn’t refuse either, but I’m really more of a jelly tots kinda girl! Outside of life on Clark Clinic, how do you spend your spare time? Quite often in my spare time I get roped into babysitting my little niece and nephew which usually involves a lot of hide and seek. I enjoy baking- mainly apple cakes (tarts) and I’ve recently learnt to make soda bread. I also relax by listening to music and playing the piano.